Splitting — to cut MP4 video files into smaller pieces so as to extract or copy specific scenes or to upload to the Internet (to YouTube, for example). Each of the split files can be played back. Trimming — to cut out unwanted sections, such as ads in a TV recording. Joining — to join MP4 files together. This only works when the video files have a similar format (same resolution, bitrate, etc). If you have ever downloaded a long video in smaller parts (such as video01.mp4, video02.mp4, video03.mp4), a joiner will put the pieces back together again in no time. Here we are going to share two programs -Professional MP4 cutter and convenient online editor. In general, a MP4 cutting program evaluated mainly in aspects of easy-to-use, general features, parameter adjustment and other more bonuses. Luckily, the world-renowned MacX Video Converter Pro meets the highest requirements of all these aspects. Its intuitive interface costs you (newbie or expert) not more than 1 min to figure out how to cut your MP4 video. Just click the scissor-shaped icon and you can easily trim your video into segments by moving the slide bar or manually set Start Time/End Time. It also lets you edit other video files like AVI, MKV, FLV, MOV, AVCHD, MTS, MPEG-2, H264, H265/HEVC video, etc. More features like video converting, video downloading, video rotating/merging, video parameter adjusting, on-screen video recording features are stand by to serve once you need. 1. Support various formats, MP4, AVI, MOV, FLV, MKV, 3GP, MPG and even ISO image, DVD. 5. An all-in-one MP4 editor, trim, crop, add subtitle, rotate MP4, merge mp4 videos etc. Step 1: Free download and run it on your computer. Import the desired MP4 video by clicking "Add Files". Step 2:Click "Edit" button to enter the edit interface. Choose "Trim" column and check the box of enable trimming. Step 3: Set the start and end time for the video you are willing to cut. And click "Done" button. Btw, after all these done, you have already completed the cutting process. If you want to change the video formats, you can convert MP4 to MOV, AVI, FLV etc before clicking "RUN" button. 3. 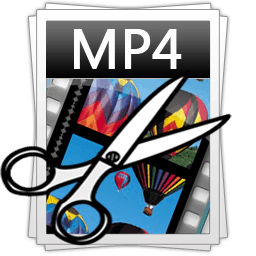 In addition to MP4 video cutting and trimming, you can do more with MP4 videos, for example, compressing MP4 video size, adding watermarks, merging etc. The reason why people choose online tools is that they are simple, convenient and free from installing any software or plug-ins. 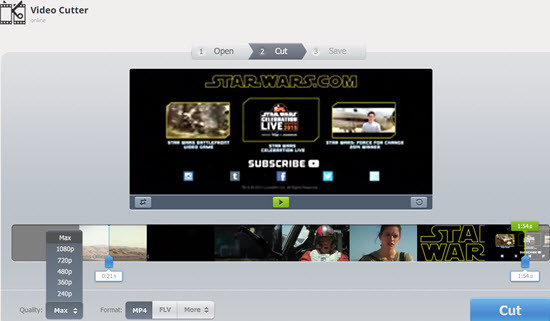 Among various online tools, Online Video Cutter is picked out. You can easily cut videos in MP4, FLV, 3GP, MPG formats and get rid of any unwanted parts from them. 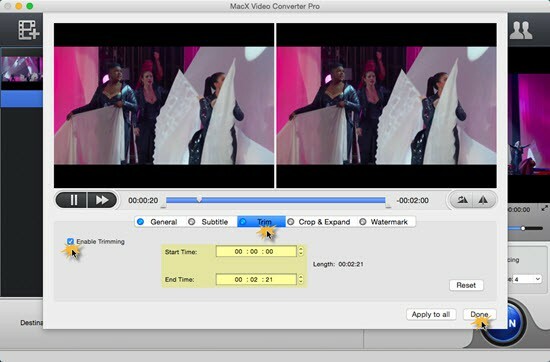 We list all the best MP4 video editor software here for Mac and Windows. Free download the best MP4 video editing program to edit MP4 videos movies on Mac (macOS Mojave inc.) and Windows (Win 10 inc.). MacX Video Converter Pro is a feature-rich, high quality, and incredibly fast video converter, as well as an excellent MP4 cutter to split, trim, cut videos in MP4 MOV, FLV, AVI formats etc.